The 59th ranked University of Utah men’s tennis team (5-3) is looking to rebound after a pair of losses last weekend. This Saturday, February 21st, the Utes will host Idaho State (0-0) at 12 p.m. MT and Weber State (4-6) at 5 p.m. MT. 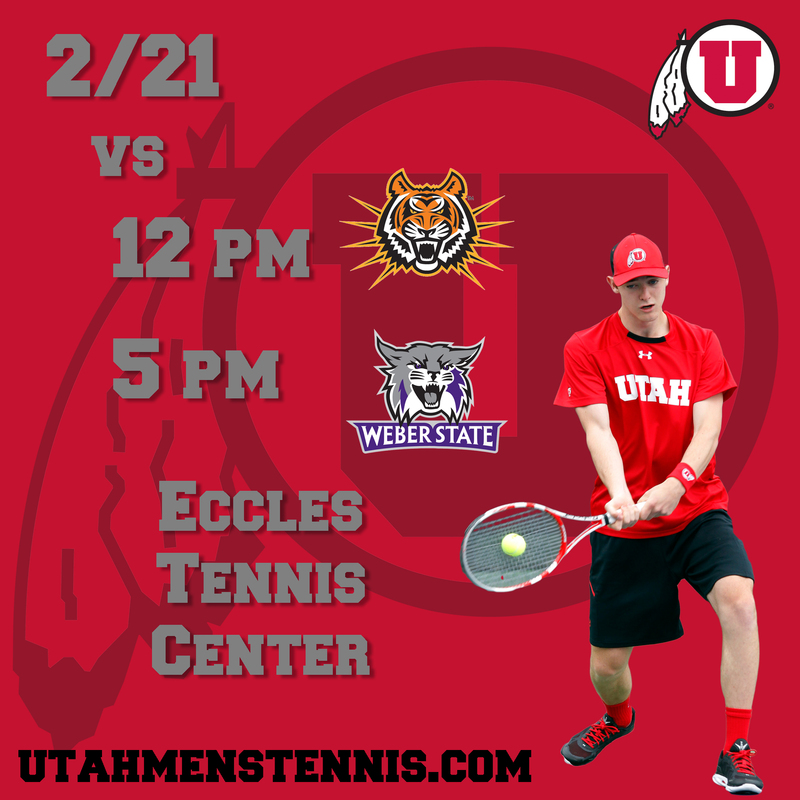 Both matches will be played at the Eccles Tennis Center. Idaho State will open their season against the Utes this Saturday. Utah last faced Idaho State in 2013, which ended in a 6-1 victory for the Utes. Idaho State finished the 2013-2014 season with a 5-12 record. “The Bengals are always a very offensive minded team and especially play some good doubles,” Brateanu said. Weber State is 1-2 in their last three matches, recording a win over U.C. Riverside and losses against UNLV and New Mexico State. The Wildcats are 3-2 at home, 0-2 on the road, and 1-2 at neutral sites this season. Utah defeated Weber State 6-1 last year at the Eccles Tennis center. “Matches against Weber State always add a little extra excitement. They are a much improved team from last year and always bring along quite a few fans. It should be a fun atmosphere and some good tennis,” Brateanu concluded. As always, admission and parking in the lost east of Guardsman Way are free at home matches. Click here for live stats. This entry was posted in Schedule/Results and tagged Idaho State, Roeland Brateanu, Utah Utes, Weber State. Bookmark the permalink.